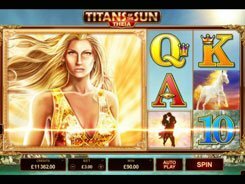 Theia is one of the two slots in the Titans of the Sun series released by Microgaming. 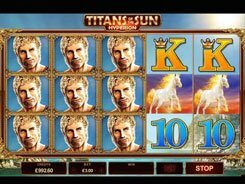 Both slots have basically the same identical gameplay and symbols but differ in payouts and some minor details. 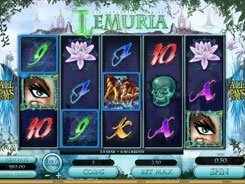 In the Theia slot you will see a set of symbols related to a Greek mythology, such as Pegasus, Phoenix and the goddess Theia herself. 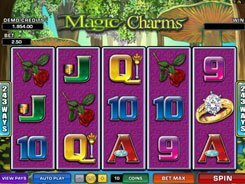 A total bet ranges from $0.01 to a massive $150 per spin. 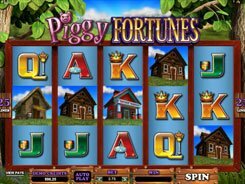 The slot is played over 5 reels and 15 paylines and features a wild, a scatter, free spins and a lucrative Stacked Mystery symbol. A wild (the logo) is the biggest payer in the game awarding up to $20,000. 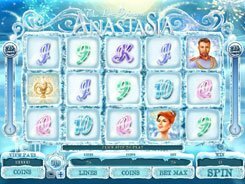 A scatter depicted by a dancing couple unlocks 15 free spins at a x2 multiplier if three occur anywhere on the screen. There is a Mystery symbol depicted by the Sun that does not create any combos, but has some very useful properties. First off, it always comes stacked on the reels. Second, all the Sun symbols that appear on the reels transform into one matching regular symbol, which can make for great winning opportunities. PLAY FOR REAL MONEY!